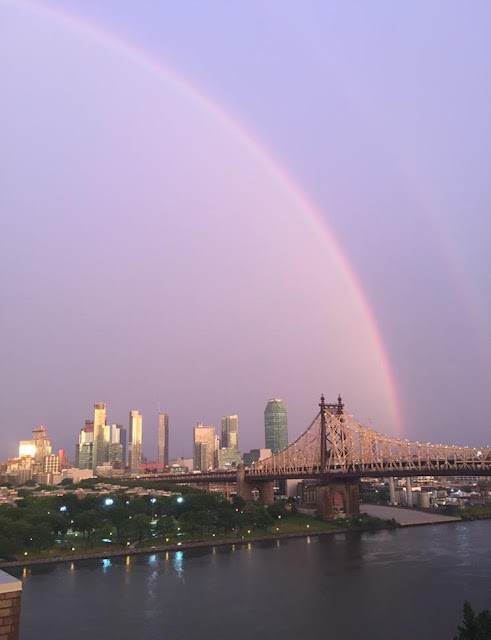 NYC rainbow seen from Roosevelt Island tonight after the rainstorm. and sunset seen from Roosevelt Island tonight. UPDATE 6/20 10 A.M. - More pics from last night's Roosevelt Island sky.